You’re driving down the road after a long day of work, listening to your favorite song. Your car’s music player stops working, so you look down to fix the issue and BOOM!!! …you rear-end the car in front of you. After getting into an accident, vehicles experience several common adverse side effects. As a responsible car owner, it is essential to pay careful attention to these issues after a crash to keep yourself safe and ensure no preventable damage to your vehicle occurs. After a car gets into an accident, even a minor one, it is common for the engine not to start. Most car owners think it is the result of damage to the transmission. The most likely reason a car will fail to start after a minor accident is a tripped switch that cuts power to the vehicle’s fuel pump. Many cars include an inertial switch that will stop feeding electricity to its fuel pump after an accident. The inertial switch protects the vehicle from lighting on fire. This prevents it from pumping gas just in case of damage to the car’s fuel pump. If your car doesn’t start after a minor accident, check the vehicle owner’s manual. Here, you’ll figure out whether your vehicle has an inertial switch trip that cuts power to its fuel pump after a collision. If the vehicle does have the inertial switch trip, then you will likely be able to press a button that will allow you to start the car normally and continue driving. Accidents can jar a vehicle’s battery causing it to become inoperable prematurely. Keep the potentially reduced life cycle of your car’s battery in mind after a collision. If a car gets into a minor collision, misalignment is unlikely. However, if you are in a more serious accident, pay close attention to your car’s drivability and tire wear, as these are telltale signs of a misaligned vehicle. When a car is out of alignment, it is wise to take it to a repair shop both to improve safety conditions and prevent further frame damage. While a broken light requires replacement, disconnected wiring and lens damage is a quick repair that needs no assistance. If a wire has come loose, you should be able to reattach it to get the lighting system to reactivate. If lens damage occurs, you should be able to use a car light lens repair kit to fix the damage. Damage to a vehicle’s door commonly results from car accidents. Make sure each one of the doors to your vehicle is operable after a crash. 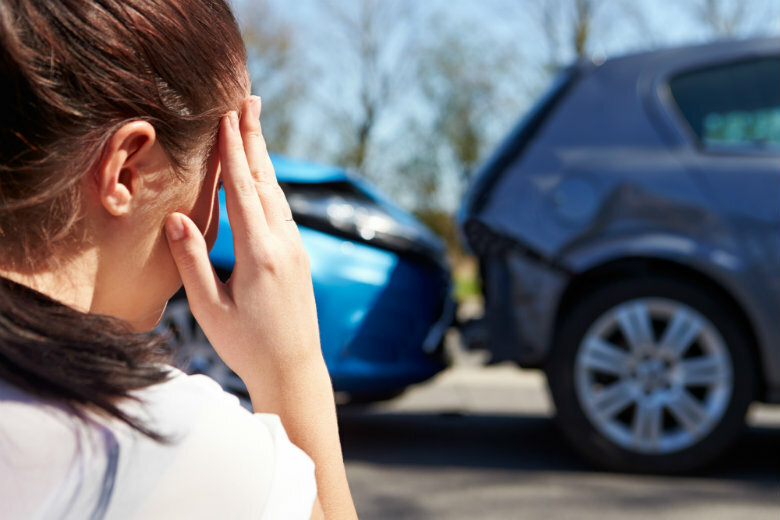 Cosmetic damage to your vehicle is an obvious side effect of a crash. The magnitude of cosmetic repairs is determined by the extent of the damage and how much labor the repair requires. After an accident, you may be unable to steer your car or even get it to roll. If you can’t get your vehicle to steer or roll, then you should consider it inoperable. While some auto accidents leave a vehicle drivable others do not. If the damage to your vehicle is severe, do not feel the need to drive your car away. In cases of serious damage, call for a tow truck or auto transport service. This Guest Post was provided by New Look Collision Center, the premier auto body collision repair center, serving both Las Vegas and Henderson since 2004.